Convertible car seats stand out among other car seat types and rightfully so. 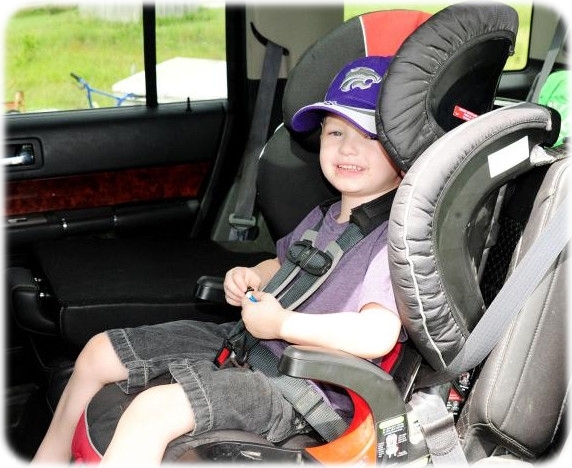 They are more popular than one-stage car seats because they make saving money easier. This type makes the industry impact on the environment less devastating because people would only need one seat with it rather than two or even three if we include all-in-one car seats. Of course, it is not unusual for a convertible car seat to be not quite as good as some other car seat but that is only because such a seat is ultimately a compromise. The thing is, sometimes a convertible seat will be better than most available one-stage seats, even quality-wise. The difference between an infant car seat and a convertible car seat is both glaring and insignificant, depending on what we consider first. Not very surprising, any convertible seat, with the exception of the combination set, is designed to function as an infant car seat. The key difference is that it will also incorporate the elements of the other car seat types so it could function as them, too. This may not seem too big a difference but this detail is pivotal. A typical one-stage infant car seat is much smaller than a convertible car seat. As such, it is more like to fit into a small car. Additionally, it can serve as part of a car seat travel system. An infant seat is also relatively easy to carry around without a car or stroller. Absolutely any convertible seat is supposed to be able to function as a toddler car seat even if it is a combination set rather than a convertible seat proper. That is what makes the toddler seat type unique when convertible car seats are considered. A toddler seat cannot be oriented backwards to accommodate an infant safely. This is a common issue for any one-stage seat, although calling it an issue may be not exactly correct. It is the way the seat is designed. Nevertheless, the toddler seat has no apparent advantages other than being simpler and sturdier compared to the convertible seat. Unlike the two other car seat types, a booster seat generally has very little in common with a convertible seat. Typically, a convertible seat combines the features of the infant seat and toddler seat. Still, combination sets and 3-in-1 car seats do include the elements typical for a booster seat. There is no point in comparing the booster seat to a convertible seat that cannot be used as one but comparing it to other types of convertible seats makes sense. The key difference between a booster and a combination set (or an all-in-one car seat) is that the latter always comes with a harness. A standard booster seat does not, all it does is position the seat belts. However, it is also much cheaper thanks to that. Both types of car seats can function as the toddler seat. This overlap is the only thing they have in common. Nevertheless, they still can be compared as long as we are talking about exactly that—their performance as toddler seats. A convertible seat proper is designed in a way that would allow it to be oriented backwards and forwards. As such, it is primarily an infant seat easy to reorient as a toddler seat. In short, it is better to consider these two types as their “extremes” when comparing them to each other. If we do that, we can see they are barely comparable at all. An all-in-one car seat may seem undeniably superior to a convertible seat proper. However, it may not be so in each and every case. The difference between the two of them is that an all in one car seat can function as a booster seat. But the elements required to properly guide the seat belts are far from necessary in any other car seat. That makes the all-in-one car seat needlessly complicated. But it is still good for a child of any age, provided he still needs a safety car seat. 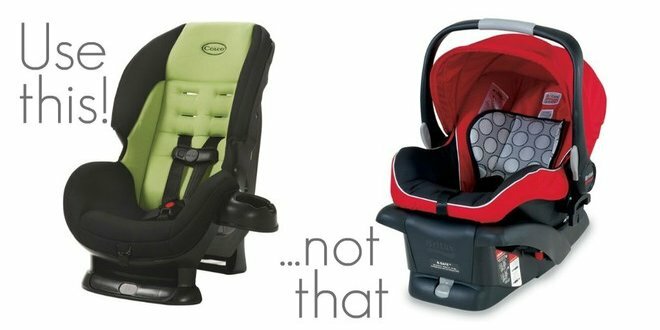 The differences between a booster seat and an infant seat are very similar to those between a combination seat and an all-in-one car seat. As a matter of fact, what makes the latter very different from each other, is the same thing as the difference between a booster seat and an infant seat. A combination seat cannot be installed in the rear-facing position. As such, it takes up much less space compared to an all-in-one car seat. Convertibles car seats have many advantages. Nevertheless, those advantages are not absolute. Otherwise, convertible car seats would have dominated the market completely, which, as we all know, is not the case. 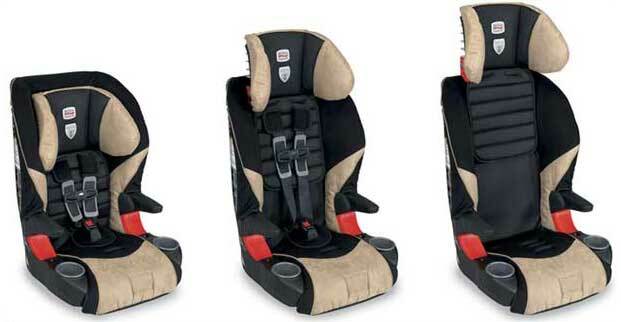 They still are very popular, often more popular than some one-stage car seats but only so much. If you choose a convertible car seat for your child, you get a car seat that could serve for two stages or even all three of them. If you do not, you get a car seat perfectly suited for a single stage. Either way, you win. And that is what we think is important.